My life has become wonderful. This was on PostSecret last week and has been very applicable to my life in the past week or two and very much describes my outlook on life. Recent events have made me thankful for how I was raised and that I have grown to be a mature young adult even at the age of 21. If we would all just take the chance to look around at others’ lives around us, we might see that our worries aren’t so bad and that we have more than many hope for. I’m a strong believer that a positive attitude leads to a more positive life, as this postcard reiterates. Everyone has negativity in their life (that’s right, everyone), but when that’s all you choose to focus on, that’s all you’ll see. You won’t see the wonderful people, places and opportunities that are in your life. Because everyone has those wonderful things in their life too, even if they’re not as apparent all the time. We hear it all the time in music, movies and books, but life really is a beautiful thing. Honestly, the fact that you’re alive and breathing is a positive that should outweigh all the negatives. Having a positive outlook on life and deciding your life should be wonderful shouldn’t be a secret, but a common occurrence. It’s a wonderful life. Enjoy it every day. In class on Monday, we discussed an issue that I was unaware of: net neutrality. Net neutrality is basically the idea of a free Internet. We visit whatever websites we want to whenever we want to. Unfortunately, there are people trying to change that. I found this video on a website called Save the Internet and I think it sums it up pretty well. I agree with many of the points in this article from the same website. Charging customers more money for more websites and making it so that bigger, more popular websites run faster than smaller, newer websites is very unfair in my opinion. I think the biggest issue is that this makes it very hard for entrepreneurs to do anything online. The websites with the most money will be the ones continually being visited the most, and I find that to be really unfair. People will have very small chances of being able to create online businesses, blogs or websites of any kind that have the potential to become popular. 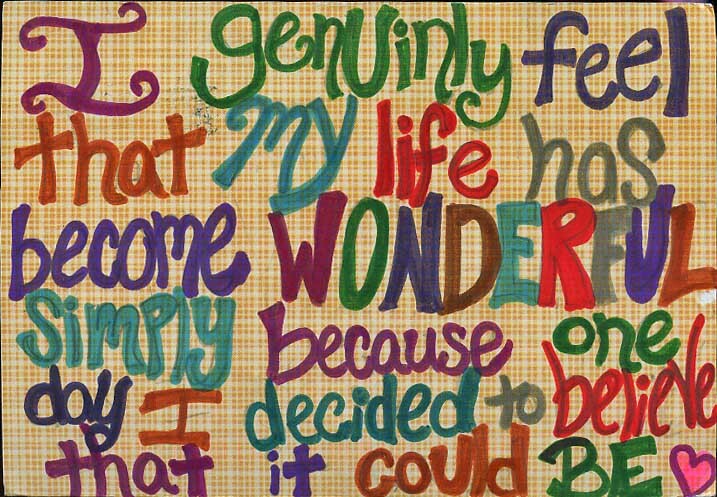 One of my favorite websites, PostSecret, started out as a small blog. Many people know about it and the owner, Frank Warren, has events all across the country and has even published five books full of the postcards. If net neutrality was taken away from us, people like Frank would never be able to start a small website and turn it into what PostSecret has become. I check Frank’s secrets weekly and I know many others do the same. I find his website to be very important in letting people know that everyone has problems that they don’t always show on the surface. This is just one of many examples why net neutrality is so essential for us to have.